Leawo DVD Ripper 8.0.0 was available as a giveaway on January 29, 2019! How would you improve Leawo DVD Ripper 8.0.0? Won't allow multiple audio streams or multiple subs. No soft subs seem to be available. Sorry, just doesn't fill my needs, even for free! This is Coral from Leawo support team. Please set output Profile as Lossless MKV, you can get file with multiple audio streams and multiple subs, for other format with multiple audio streams and multiple subs, we will certainly take the function into consideration in future upgrades. To change output Profile, please check Step 2 at http://www.leawo.org/dvd-ripper/covnert-dvd.html#t for reference. An all-in-one program where only one component works for a year and the rest is unnecessary ballast? Forget it, no interest. Louis Crypot, from this company there are more GOTD-offers last year. and a lot of them worked. Louis Crypot, from this company there are more GOTD-offers last year. Sometime ago I did enter all the old codes from the last years in this program. DVD creator, converter etc: https://www.giveawayoftheday.com/leawo-dvd-copy-8-0-0/ https://www.giveawayoftheday.com/leawo-dvd-creator-7-9-0/ https://www.giveawayoftheday.com/leawo-blu-ray-creator-7-7-0/ and a lot of them worked. 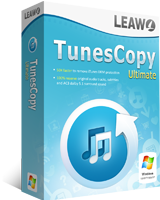 'Leawo DVD Copy 8.0.0 was available as a giveaway on November 21, 2018 ... Leawo DVD Copy works as a module of Leawo Prof. Media suite. " Louis Crypot, other parts have been given away earlier. See eg https://www.giveawayoftheday.com/leawo-dvd-copy-8-0-0/ 'Leawo DVD Copy 8.0.0 was available as a giveaway on November 21, 2018 ... Leawo DVD Copy works as a module of Leawo Prof. Media suite. " Please contact us at support@leawo.com and let us know the license you got so that we can check for you. I just went straight to Leawo site with address from download got the registration key entered it into Leawo Prof. media and it activated straight away. I did not need to set up anything else because I had already got Leawo Prof. Media on my PC. Very easy to do and i'm no expert. Hope this helps others. We are sorry for the inconveniences caused by Leawo, please kindly contact Leawo at support@leawo.com with the licenses you got so that we can handle the issue properly for you. Sorry for the inconveniences caused by Leawo, the new Mac license will work well. Any other questions, feel free to contact us at support@leawo.com. Richard Sebire, Please note: The key is only applicable for Leawo DVD Ripper, which is included in the Leawo Prof. Media suite as one of the modules! The software includes a 1-Year license.